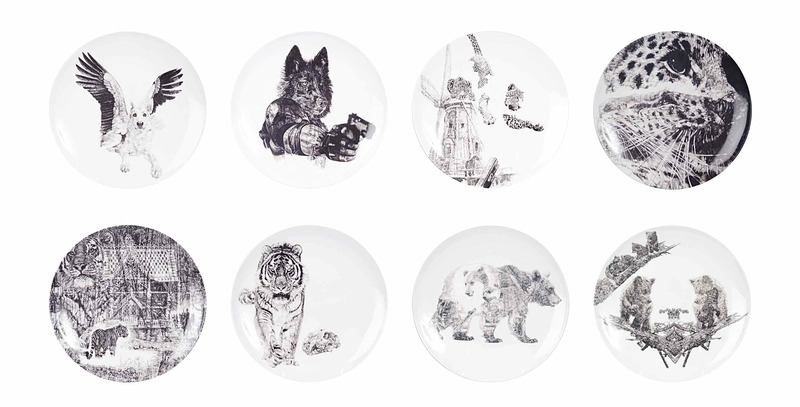 Also available to order from Whosit & Whatsit is my fine English china art plate series ‘In Homage to the Last Great Carnivores of Eurasia’, made in Stoke on Trent by celebrated ceramic manufacturer The New English. 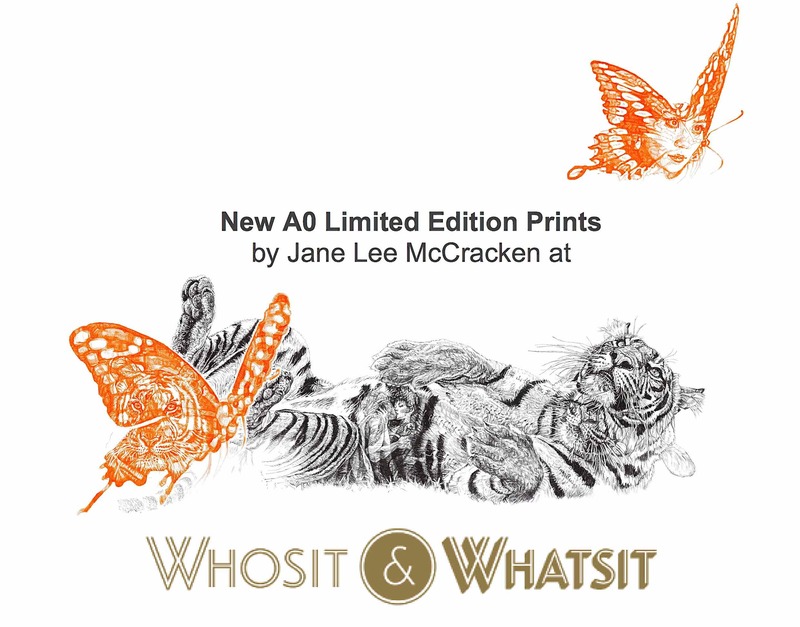 Limited edition 50 x 50cm signed and numbered archival pigment prints of original Biro drawings for each plate design priced £140 per print are also displayed and stocked at W&W. Top Row Left to Right: Sweet, Revenge, Our Forefathers, Our Loss. 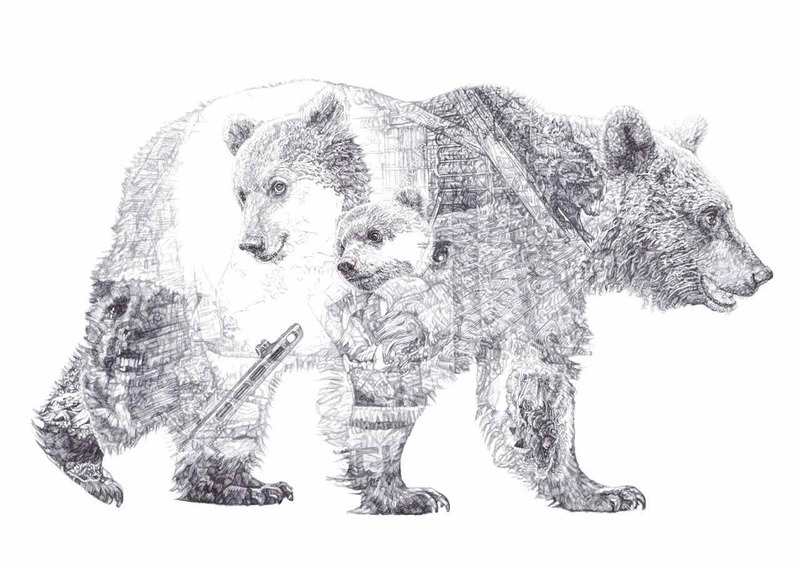 Bottom Row Left to Right: Shh, it’s a Tiger!, Bang!, Mummy Bear and Baby Bear, The Orphans. Plates measure 28cm diameter. Limited editions: 200 per design. Order price: £150 per plate. 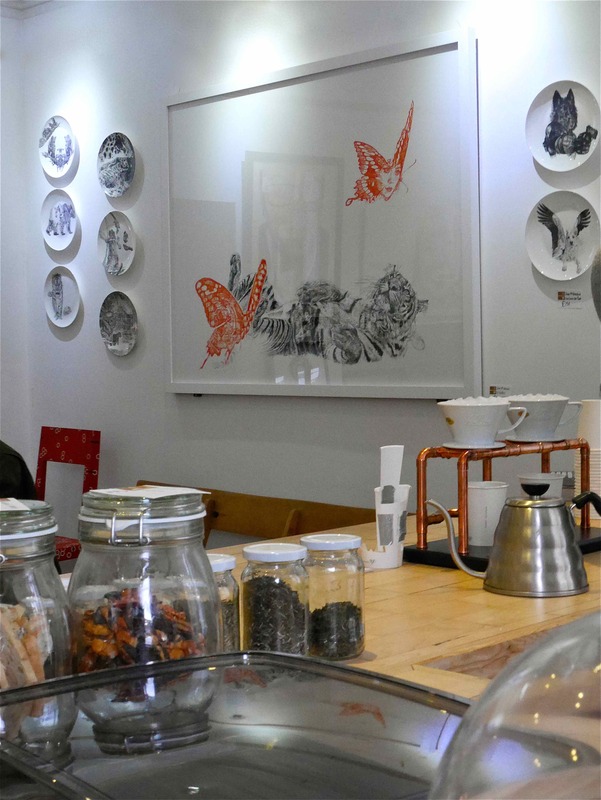 An A0 Artist’s proof of ‘Butterfly Lover’ is now on display in Whosit & Whatsit’s beautiful second floor Brew Bar. 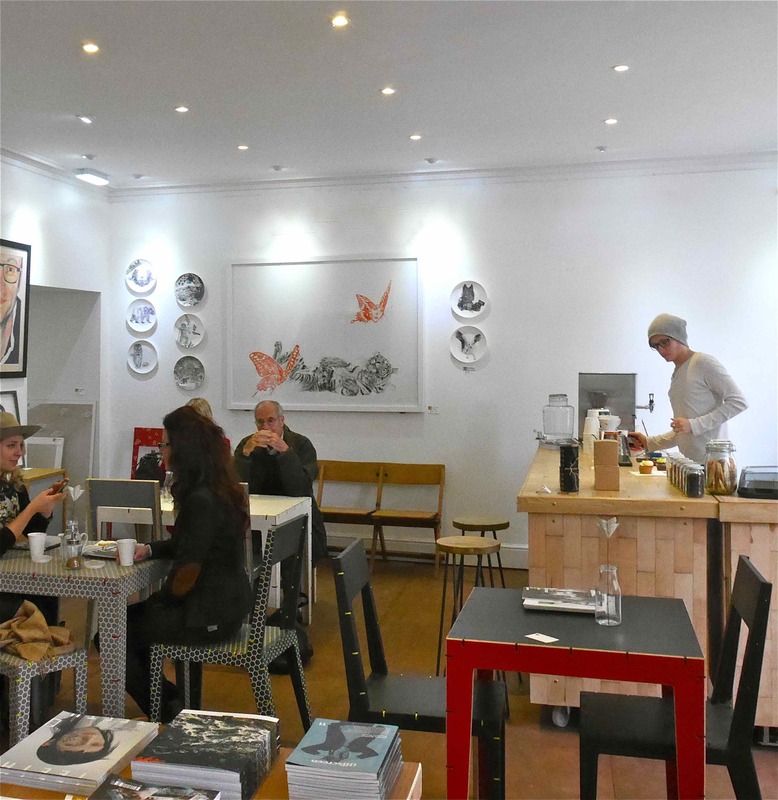 Pop in for a brew and a browse through the magnificent design items in this unique store housed in a stunning Grade II listed building on Newcastle’s historic quayside. This entry was posted in Art, Ceramics, Design, Drawing and tagged A0 Prints, Art, Art Plates, Art Prints, Artwork, Biro drawing, Brew Bar, Ceramics, China, Contemporary Art, Cutting Edge Design, Design, Design Shop, Drawing, Fine art, Fine China, Fine English China, Giclee prints, Newcastle, Newcastle Day Out, Newcastle Things to Do, Newcastle upon Tyne, Prints, Quayside Newcastle, Stoke-on-Trent, The New English, The Potteries, Whosit & Whatsit by Jane Lee McCracken. Bookmark the permalink. Re-blogging on beetleypete, Twitter, and Google+, as well as Linkedin! 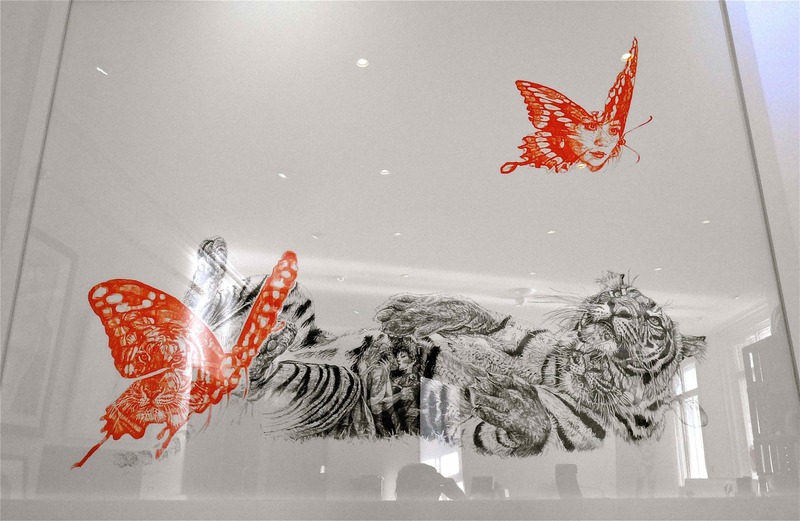 Just had to re-blog this, to publicise the wonderful biro drawing of Jane, a truly unique artist. 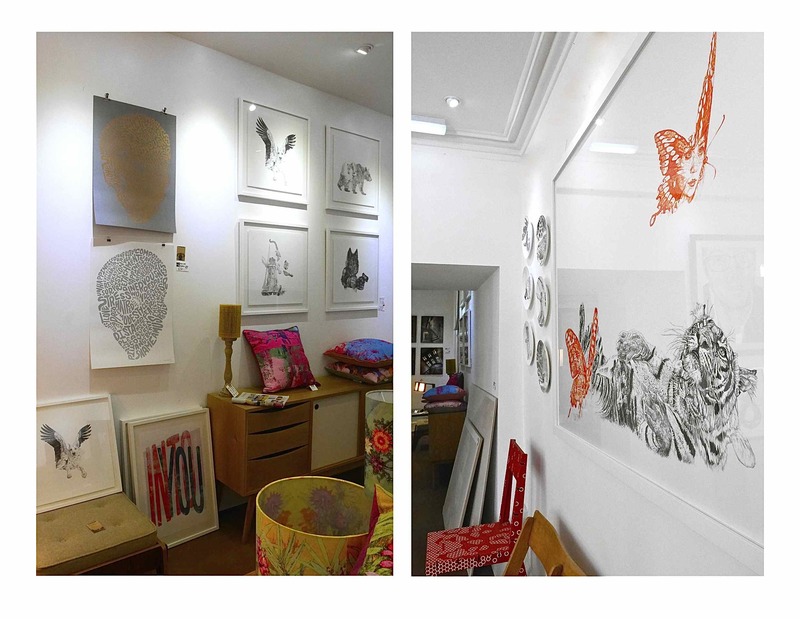 Her prints and ceramic products are now available from the shop shown in the post. Ideal Christmas gifts! Wow — they look great, Jane! Thank you Jack, and thank you as always for your incredible prints, blown away by this one!